Chapters 10 and 11 are grouped together on this site since the two chapters jointly deal with the same subject matter: the serpent figure, the Edenic rebellion, and the relationship of Genesis 3 to Ezekiel 28 and Isaiah 14:12-15. The ensuing discussion provides several source references relevant to the chapter. (3) my view that Isaiah 14:12-15 and Ezekiel 28:11-19 are conceptually and inter-textually connected, that both passages have as their interpretive backdrop the idea of a cosmic rebellion of a divine being, and that this backdrop allows these two passages to inform interpretation of Genesis 3 in the final form of the canon. We’ll take these items in order. A footnote in this chapter refers to the problems of the relationship of El and Yahweh, including the matter of Ugaritic El’s female goddess consort. As you might imagine, these problems are inter-related. In the mythological texts, El is often depicted as father of the other gods. Moreover, he is called in the Keret epic ab adam, ‘father of mankind’, obviously because he is the creator of humanity. . . . The mythical procreation of gods, on the contrary, might have been recognized at Ugarit though the textual basis is small (KTU 1.10 iii:5; 1.23; M. Dietrich & O. Loretz, TUAT II [1986–89] 350–357; ARTU 117–128). In KTU 1.3 v:36; 1.4 iv:48 and 1.10 iii:6 El is depicted as the one who appointed →Baal as king. The verb used here to describe the action, kn [kwn], however, does not mean ‘to create’. The usual Ugaritic verb signifying ‘to create’ is qny. It is used in relation to gods in KTU 1.10 iii:5. The meaning of the verb is obscure in KTU 1.19 iv:58 (it describes the relation of El to a locality; possibly to be explained either ‘to own’ or ‘to produce, create’). The Phoenician inscriptions attest only once qny, ‘to create’, and that with regard to the earth (KAI 26 A III:18). It is doubtful whether El was conceived of as →‘El creator of the earth’ at Ugarit since there is no reference to the concept (Pope 1987:219–230; Rendtorff 1966:287; contrast de Moor 1980; 1990: 69). (pp. 275-276). These excerpts make it clear that the biblical writers had some sort of strategy for linking Yahweh to El. The contentious issue among scholars is whether the biblical writers thought El and Yahweh were distinct gods and then fused them, as opposed to whether they were rebutting that idea by means of their compositions and/or the redaction process that produced the final form of the text. The perspective that the biblical writers themselves were (early on) polytheists or monolatrous henotheists is the dominant one in biblical studies (held also by a few evangelicals) and has as its conceptual justification the presumed evolution of Israel’s religion from a polytheistic context to monotheism. I’ve been accused by those hostile to evangelical theology (or “confessional” scholarship) of rejecting the consensus because of my confessional (evangelical) commitment to Christianity. This shows a poor understanding of the evangelical tradition — even conservative evangelicalism. It would be quite easy to adopt the consensus view and chalk it up to the well-known evangelical idea of progressive revelation. God, so the argument would go, simply didn’t reveal monotheism to the biblical writers early on, but only later. Since progressive revelation is so obviously in play with other doctrinal items in the Bible that develop across the testaments, the notion appears coherent. It allows for the biblical writers to learn the real truth about God as time went in and God revealed more information. Consequently, the dominant paradigm (at least in principle) need not be repugnant to evangelicals. That said, however, I just don’t buy the consensus. It’s a classic example of filtering the final form of the text (i.e., that thing we actually have) through a pre-conceived idea in order to create a speculative evolution in the theology of the biblical writers, I know of no way for Scripture as we have it to produce the required chronology of ideas that result in this religious evolutionary flow — as opposed to that evolutionary presumption being brought to the text so the text can be explicated in light of it. That’s the cart before the horse; it’s preconception driving the bus of exegesis. That is why I reject the consensus view. It is quite evident from inscriptions and objects produced by archaeology that many Israelites were polytheistic. But that is equally clear from the biblical text (because the writers found it offensive). The Bible never hides the fact that many Israelites worshipped other deities, including Baal, El’s “right hand man” in Ugaritic religion. However, I don’t see an indication in the biblical text that the biblical writers embraced polytheism and then changed their minds (or were led to do so). That is an idea that has to be superimposed on the biblical text, putting the cart before the horse. My view, then, to reiterate a bit, is that the dominant paradigm works only if a list of assumptions are brought to the text, including positing precise chronological sequences for when certain passages, verses, phrases, and even words were written or edited into or out of the biblical text. This requires omniscience, an attribute none of us have. Consequently, to draw conclusions as though we do is flawed thinking. When the presuppositions are kept at bay, the question changes: Does the biblical text as we have it yield the evolutionary picture? I submit that it does not, and that the dominant consensus view must impose its presuppositions for the idea to appear coherent. As I’ve written in journal articles (see below), the evolutionary view affirms some obvious things and then extrapolates to the unnecessary. I would propose that the literary identification of Yahweh and El is presented in the text for reasons other than an alleged change of heart about polytheism on the part of the biblical writers. I would argue that the biblical writers are weaving together written and oral traditions that used different vocabulary for their God precisely to make their theology of “Yahweh above all other elohim” clear. It is not Elyon or El who are at the top of the unseen realm; it is Yahweh. To make that point of theology clear, epithets and terms attached to other deities are assigned to Yahweh. The agenda of the biblical writers is not to apologize for or correct polytheism at one time thought orthodox for Israelites, but to reinforce the idea that Yahweh is an elohim, but no other elohim are Yahweh. The claims about other gods being the greatest are false. Yahweh is in a class by himself—and he is the deity referred to in Israelite traditions as being “God” (Semitic el). When the historical and religious context called for using epithets of Ugaritic/Canaanite El to make the point that it was Yahweh who was supreme, the biblical writers did so (just as they did with Baal motifs, such as “the one who rides the clouds”; see Chapter 29). None of this literary activity would be disputed by the dominant paradigm. It’s just that the dominant paradigm assumes that the motivation for the activity is a change or heart and mind about polytheism. That is an interpretive filter foisted onto the text. It is to psychologize the writers. The evidence offered for this idea within the biblical text is weak and, like the over-arching paradigm itself, depends on assumptions that guide interpretation. This brings us to the related issue of Ugaritic / Canaanite El’s consort, a divine female partner. Since Yahweh is identified with El in the Hebrew Bible, the question of whether Yahweh “had a wife” emerges. Again it should not be a surprise that the discussion on this question is extraordinarily detailed and controversial. The name of the El’s goddess consort at Ugarit was Athirat(u) (spelled ʾṯrt). This name in other Semitic dialects is ʾšrth (often with added “h” – and note that ṯ (th) in Ugaritic is dialectically equivalent to š (sh). The result is Asheratah. It is the convention of the Hebrew Bible to spell this name as Asherah (spelled ʾšrh). Consequently, Asherah and Asheratah are basically identical (see R. Hess, Israelite Religions: An Archaeological and Biblical Survey, p. 289). Note that Ashtoreth (ʿštrt) is a different goddess. Ashtoreth was one of Baal’s consorts. (For Ashtoreth and the relationship of that term to its plural, Ashtaroth, see John Day, “Ashtoreth (Deity),” The Anchor Yale Bible Dictionary (New York: Doubleday, 1992), vol. 1:491–492. A collection of inscriptions from c. 800 BC were discovered at the northern Sinai site of Kuntillet ʿAjrud. Commonly understood as mentioning “Yahweh and his Asherah,” the texts have provided what is arguably the major catalyst for a revolution in our understanding of the beliefs of the Israelites during the monarchy. The inscriptions that mention this blessing, while not limited to what is either a Sinai caravansary or a cult center (see below), provide the centerpiece for discussion of the role of a goddess or cult symbol and its relationship to Yahweh. It is, in fact, no longer possible to accept a simple division between those who worshiped Yahweh as a single and unique deity, on the one hand, and those who served Baal and a pantheon of deities, on the other. As a result of the finds at Kuntillet ʿAjrud, Yahweh has become a member of the pantheon of Iron Age Palestine. It is not certain who wrote these inscriptions. In particular, some have thought that the texts that mention Baal and El were composed by non-Israelites. The texts associate these deities with war and with theophanies. If they are Israelite, and this is increasingly thought likely, they indicate either (1) Baal, like El, should be identified with Yahweh; or (2) there was a rival cult that accepted Baal as a martial deity. The most frequently mentioned deity, the only one associated with Asherah, and the one who appears in the blessings formulae, is Yahweh. His name is associated with two place names that occur as Yahweh of the Teman (htmn) and Yahweh of Samaria (šmrn). The Teman was a desert region to the south of Judah, while Samaria was either the capital of the northern kingdom of Israel or, possibly, the nation of Israel itself. . . .
That Asherah is a symbol of Yahweh is not impossible. However, it is unknown in Israel for Yahweh to have a cult symbol. Keel and Uehlinger (1992) propose a cult symbol subordinated to Yahweh. In this interpretation the Asherah symbol is no goddess. As developed by Miller, Asherah became a symbol of Yahweh who expresses his presence, a kind of hypostasis that possesses no gender but only the presence of God. With Hadley, he sees in her an anticipation of Lady Wisdom in Proverbs and the development of the Law as a personification of God. However, this view suffers from several problems. M. Smith (1991; 2003, 126–28) argues that the references that associate Asherah with Baal (Judg. 3:7; 1 Kings 18:19; 2 Kings 23:4) must all be discounted as late editorials and glosses by the Deuteronomists. But why would the Deuteronomists defeat their own purposes of monotheism by rehabilitating a forgotten goddess? Nor is the text’s failure to mention Asherah in Jehu’s reform of 2 Kings 9–10 proof that this deity/hypostasis was acceptable to the Yahwist Jehu. Rather, the emphasis on Baal includes all the deities in his pantheon, such as Asherah, and only occasionally did the biblical writers feel the need to specify them and give them the “honor” of naming them. A second problem arises with a twelfth-century BC Babylonian text, in which the names of many gods are subsumed under one deity, Marduk, who is chief god of Babylon. However, Marduk’s wife’s name is missing. This is no oversight but a demonstration of the fact that the female goddess was never assimilated into the male deity, even in such a polytheistic context. This evidence argues against the view that Asherah was or became a hypostasis of Yahweh. There is evidence for the continuous presence of Asherah in the West Semitic pantheon from c. 2000 BC on into the Persian period without any textual suggestion of her becoming a hypostasis of a chief male deity. And nowhere in the Ugaritic texts, the Old Testament, or elsewhere is Asherah associated with wisdom. The view that this is the personal name of the goddess Asherah implies that Yahweh had a consort. Most scholars conclude that this is the correct analysis. Most accept the addition of an -h suffix in the inscription as a third personal pronominal suffix, “his Asherah.” However, no personal name ever has a pronominal suffix attached to it in Classical Hebrew. Nevertheless, other West Semitic languages do provide occasional examples of this phenomenon. If this is a symbol of the goddess, as in the form of a wooden pole, it would be acceptable grammatically and would be supported by other attestations in the Bible. Thus Yahweh has a consort. At least one or two writers of this graffiti (from Samaria) had a view of their god that allowed for other deities, a perspective reflected as well in the prophets. My view assumes that this is the personal name of the goddess. In this scenario, the final -h consonant in the inscription’s spelling of the name could be a second feminine ending (Zevit ) or a vowel letter reflecting a final a vowel (Angerstorfer ). In the latter case, the name is not Asherah but Asheratah. This is the preferred explanation, based as it is on comparative forms in Iron Age names of southern Palestine and on all other West Semitic occurrences of the deity’s name from the second millennium and the Iron Age epigraphy of the first millennium BC. Asherah, spelled as it is in the Bible (ʾăšērâ), is never found in extrabiblical texts of the monarchy in Israel. At Khirbet el-Qom (see below) and on ostraca from seventh-century BC Tell Miqne (= Ekron) the spelling ʾšrt(h) is always found. Thus I think the deity was Asheratah, identical to the Asherah of the Bible, only spelled slightly differently. . . . The inscriptional materials attested in ancient Israel and describing the period between c. 931 and c. 586 BC reflect a diversity of beliefs that lie somewhere between two extremes. On the one hand, there is the position of the Bible and its prophets in which Yahweh and Yahweh alone should be worshiped and confessed. On the other hand, there are the various beliefs in multiple deities including Baal, Asherah, and Yahweh. Hess’ last line captures what is known for sure—based on the biblical texts and archaeology. Going beyond this much to psychologize the biblical writers or to pretend that one can “reconstruct” the evolution from polytheism to monotheism by virtue of a chronology of composition and editing that requires omniscience is to bend the biblical text to one’s will. Such “reconstructions” are in fact constructions made on the basis of presuppositional filters. 2. The meaning of nachash in Genesis 3 / the discussion of ch-w-t-m (“sealer”) in Ezek 28:12. In case there is any confusion, my position on the nachash (“serpent”) of Genesis 3 is best summarized in terms of what I am saying and not saying. I believe the nachash of Genesis 3 was a divine being. The New Testament makes this explicitly clear (Rev. 12:9; 20:2). The fact that the Old Testament does not use the term saṭan of the serpent in the garden does not hinder this view. Rather, it is consistent with it. My claim is not that Ezekiel 28 draws upon a tale about a being called Satan. It doesn’t because that word doesn’t occur in Genesis 3. Rather, my claim is that Ezekiel 28 draws upon a story about a divine being who rebelled against divine authority. The nachash exhibits properties of divinity familiar to anyone in the ancient world (e.g., the serpent speaks) and he obviously rebels against God’s decision to include humans in his divine abode (Eden). The nachash is to be viewed differently than Balaam’s donkey for a simple contextual reason: the incident with the nachash takes place in the divine council abode / meeting place. What follows are some excerpts of van Dijk’s discussion in his monograph, Ezekiel’s Prophecy on Tyre (Ez. 26:1–28:19): A New Approach that provides his thoughts on taking ch-w-t-m (“the sealer”) as ch-w-t (“serpent”; mem silent / enclitic). The intuition of MT (ḥôtēm) that in ḥwtm a person must be intended seems to be corroborated by the following mālēʾ ḥokmāh. One of the most controversial points in this section is the vocalization of the first word of vs. 14 ʾt (MT ʾat). Critics are uncertain whether the king is called a cherub or whether, instead, he is placed with the cherub. One may point to the parallelism between vss. 12b–13 and vs. 14 that is suggested by ʾattāh (vs. 12b) and ʾāt (MT vs. 14) and by the qualifications that follow this “you”, among which behar qōdeš ʾělōhîm hayyîtā (vs. 13) corresponds to behar qōdeš ʾělōhîm hayyîtā (vs. 14). If this similarity is not fictitious, one must consider a possible relationship existing between kerûb and the mysterious ḥwtm. MSH: This is cited from C. H. Cornill, Das Buch des Propheten Ezechiel, Leipzig 1886; the translation is that of van Dijk. In 26:12–20 and 27:34 three unsuspected cases of enclitic mem in the construct chain turned up. One may be correct in establishing a fourth case here, reading ʾattāh ḥawwat-m taknît, “You, O Serpent of perfection”. Though ḥawwāh occurs in biblical texts only as the name of Eve and as a noun denoting “village”, it has the meaning of “serpent” in Phoenician and Aramaic. So in Sfire KAI 222: A: 31 ḥwh is collocated with ʿqrb, “scorpion”, and means “serpent”. For the spelling taknît G. R. Driver’s vocalization is followed. The word recalls Akkadian taknîtû, “preparation, correction, perfection”. Its connection here with kelîl yōpî is possibly to be linked to UT 51:I:16 klt knyt, “complete (?) in perfection (?)”. As for ḥawwāh note UT 1001: 6 ḥw btnm (= Heb. peten, “serpent”). But C. Virolleaud reads ḥr bṯnm, “a hole of serpents” (cp. UT 19:847). At first sight it does not seem pertinent at all to call the Prince of Tyre “a serpent”. Yet, from the account of Genesis one knows that a serpent has something to do with paradise, as does the cherub (vs. 14). When one realizes that the cherub guards the gate-way to paradise, a detail is touched that is very illuminating for the exegesis of Ez 28 and commentators did not fail to note this. In the interpretation of vs. 14 (see below) the cherub assumes the same role as in Genesis. Now in Mesopotamian sources the serpent has an identical function, and what is more important, he forms with thecherub a couple of guardians at the entrance of the temples, a trace of which is found in Gn 3:24 where God places “the cherubim and the flaming sword to keep the way to the tree of life”. P. Dhorme and H. Vincent observe that this offers “an evident analogy with the inseparable couples lamasu-kâribu that stood sentinel over the thresholds of royal or divine dwellings in ancient Mesopotamia. It is a known fact … that the cherub is the double of the kâribu; when, therefore, the ‘zig-zag-flame’ is identical with lamasu=laḫmu, both groups are interchangeable. Now then, this equation has been demonstrated”, and the authors refer to the cylinder of Qal’at Shergat with the inscription of Tiglath-Pilesar I on the lightning-flash of bronze to protect the city against evil influences. P. Dhorme defines the lamasu or laḫmu “a monster in the form of a serpent to which was entrusted the guard of the temples”. The zig-zag sword of Gn 3:24 has been compared by H. Gunkel to the sword of Yahweh in Isa 27:1; 34:5; Jer 47:6 and Ez 21:9–10, acting as an independent demoniac being. MSH: For the last two citations, see: P. Dhorme. “Les Chérubins, Le Nom”, RB 35 (1926) 328–358, esp. 339; H. Gunkel, Genesis3 (HAT: Göttingen 1910, p. 25). In Ez ḥawwāh and kerûb may stand for divine beings, not unlike the Babylonian kâribu and laḫmu, whom Dhorme-Vincent term interchangeable, and they may have the same task, to guard the sanctuary identical with the garden of God, as will be seen below. One has here, therefore, an inner biblical allusion to the very short indication of Gn 3:24 regarding a double guard, though Ezekiel applies the names to the one King of Tyre. Readers will note (especially after working through the next issue) that I don’t need a serpent in Ezekiel 28 to conceptually connect it to Isaiah 14 and Genesis 3. The thread that runs through all three is the rebellion of a divine being in the divine council. I offer the above material on nachash only as an interesting possibility that would simply create one more connection between the three passages. It is hardly the only one, and not even the most important one. 3. Isaiah 14:12-15 and Ezekiel 28:11-19 are conceptually and inter-textually connected, that both passages have as their interpretive backdrop the idea of a cosmic rebellion of a divine being, not a primeval human. 1. Establishing that there is solid scholarly support for the notion that the backdrop to Ezekiel 28 is a tale of a divine rebel, not a human one. Both perspectives are possible, though most of modern OT scholarship seems to dismiss the divine option. 2. That since both Isaiah 14:12-15 and Ezek 28:1-19 have a divine rebel story as their backdrop, it is methodologically inconsistent to read one (Isa 14) in that light but not the other (Ezek 28). – My guess is that evangelical scholars are quick to to do this because they want to distance themselves from connecting Ezekiel 28 to Satan. As I noted above (and in the book), I am well aware that the lemma saṭan does not occur in Genesis 3, and I don’t believe the character in Job 1-2 is the NT devil. Consequently, the position I am advocating in the book has nothing to do with advancing items not in the text as though they were. – Rather, I am saying that Genesis 3 is about the rebellion of a divine rebel (a position held by all evangelicals hold, to my knowledge). This rebel eventually gets the label “Satan” because the noun saṭan eventually came into use as a proper name. I am further saying that Ezekiel 28 and Isaiah 14 also have a divine rebellion as conceptual backdrop. Whether the original writers of those chapters had Genesis 3 at their disposal depends on the date of composition of Gen 3. But that doesn’t matter. I believe that the final form of the biblical text in all three cases contains deliberate overlaps and intersections between all three chapters, and so all three chapters should be read against the backdrop of a divine rebellion. In the flow of biblical history given to us in the final form of the text, the divine rebellion of Genesis 3 has chronological priority and thus becomes the touchpoint for the other two chapters. However, all three chapters ought to be allowed to inform each other. 3. That difficult features of the biblical text in Ezekiel 28 do not undermine reading Ezekiel 28’s diatribe in the context of a divine rebel story. The fact is that there are three viable ways of approaching the text of Ezekiel 28: (a) adopting the Masoretic Text, with its pointing and accenting; (b) adopting the consonantal Masoretic text, setting aside its pointing and accepting; (c) adopting Septuagint readings in place of the (a) and perhaps (a) and (b). As will be noted below, option (a) is the easiest to reconcile with a divine rebel conceptual backdrop. We’ll discuss these items in order, noting important bibliography as we go. Items 1 & 2: The backdrop to Ezekiel 28 is a tale of a divine rebel, not a human one. That is also true of Isaiah 14. Therefore, to admit that a divine rebel story is the backdrop for one (Isa 14) and not the other (Ezek 28) is methodologically inconsistent and therefore incoherent. The most recent study on cosmic rebels in biblical literature and its most immediate backdrop, the literature of ancient Ugarit, is the 1990 Harvard University doctoral dissertation by Hugh Rowland Page: “The astral revolt A study of its reflexes in Canaanite and Hebrew literature.” It’s important to note that my contention in The Unseen Realm — that the backdrop of Ezekiel 28 and Isaiah 14 is a story of a cosmic rebel — is not idiosyncratic. It’s an idea defended in this Harvard dissertation and, naturally, the previous scholarship the dissertation cites. Page’s dissertation was later published under the title, The Myth of Cosmic Rebellion: A Study of Its Reflexes in Ugaritic and Biblical Literature (Vetus Testamentum Supplements 65; Leiden: E. J. Brill, 1997). In what follows, page numbers refer to the dissertation. We’ll begin with Isaiah 14. Back in 2001 I had an article published in which I argued that the conceptual background for Isa 14:12-15 was an Ugaritic myth of divine rebellion: Michael S. Heiser, “The Mythological Provenance of Isaiah 14:12-15: A Reconsideration of the Ugaritic Material,” Vetus Testamentum LI:3 (Fall 2001): 354-369. Isaiah 14:4b-20 is called a mashal in the Hebrew text, a term that is usually translated “taunt song” (because of the content here in Isaiah 14), but its basic meaning is “comparison or parable” (my thanks to Peter Gentry for this note; personal communication via email, 10/10/2013). The point is that Isaiah is comparing the king of Babylon with the lead character (Athtar) of an Ugaritic myth of cosmic rebellion. We have adopted the meaning “to shine” for the root hll proposed by Brown-Driver-Briggs (BDB:237). Note should also be taken of the meaning “am Horizont erscheinen” proposed by Kohler-Baumgartner (HALAT: 238) based on comparative evidence from Arabic (halla “begin to shine”) and Ethiopic (halala “shine, be bright,” a denominative verb according to Leslau 1987:217). . . . We suspect that the root hll is primary in Semitic and has the meaning “to shine.” [MSH: the German line above means “appearing on the Horizon” and is a reference to the day star, which outshines the sun at dawn]. The frame of reference shifts in vss. 11bff. . . . with greater emphasis being placed on the primordial rebel whose fall is compared to that of the earthly monarch. . . . Only by way of v. 4 do we know who the mšl is directed toward. From content alone, we know only of a foolish king and a cosmic usurper whose failures are woven into the poem in such a way that their identities are virtually indistinguishable from one another. Page later postulates that the name Hyll bn šḥr alludes to a despot an is “either a divine name or epithet for the god who attempted a similar coup in the divine council” (p. 144). In my own article on Isaiah 14, I don’t take the offense against the high god El as a usurpation, preferring that the offense was a willful snubbing of El’s authority in council decisions. Page proceeds through the next few verses (Isaiah 14:13-15) demonstrating how the terminology is unambiguously consistent with that of El’s abode in Ugaritic material (144). He then walks readers through the offense to “the Most High” before identifying Athtar as the rebel: “From what is known of ʿAthtar at Ugarit, this assessment is consistent with the picture we have of him there” (145). Though my own perspective of Athtar’s offense differs somewhat with Page’s, we both (along with a range of scholars Page and I cite in our respective works) see the backdrop of Isaiah 14:12-15 as a divine (cosmic) rebellion. Moving on to Ezekiel 28, we must have our eye trained to conceptual motifs Ezekiel 28 shares with Isaiah 14 that link the two. My argument is not that both passages have the Athtar myth in view (I never argue that in Unseen Realm or my published work). Rather, my argument is that they both have a divine / cosmic rebel in view (the antecedents of which are in Canaanite religion). It seems clear to us that Isaiah 14, Ezek 28:1-10, and 28:11-19 have some relationship to a revolt against the chief god of the pantheon or to those involved in such a revolt. We support the contention that Isaiah 14 and Ezekiel 28:11-19 indicate that the chief protagonist is an astral god (a “Shining One”). . . . Equally convincing is his analysis of Canaanite and astral allusions in Ezekiel 28:1-10 and 11-20. Both of these texts, in our estimation, refer to an attempted coup against El by a god who is a member of the council, an astral god, and one to whom wisdom has been ascribed. * Therefore, the passage is only tracking on a human rebellion — in the abode of El (the garden) — which in biblical terms = Eden, which means the rebel is Adam. The first element, to me, is a misreading (and dare I say cheating), as it affirms the cosmic rebel motifs (which are not at all unclear) but then insists Ezekiel isn’t talking about a cosmic rebel. They would justify this by appeal the gemstone (shining!) appearance of the figure in Ezekiel 28 (which, as I showed in Unseen Realm, need not point to a man or even the high priest). It fails, of course, when it comes to the cherub language (and simple consistency). Page seems to veer off into this illogical trajectory in places, but in other places affirms more the cosmic rebellion framework more consistently. For example, there is no evidence (textual or iconographical) whereby one can argue a cherub is a human. Cherubs are divine beings, at times given human features in textual descriptions and art, but they are not human. An analogy would be angels. Angels have human features and appear in some texts virtually indistinguishable from humans — but they are not humans, for they have other attributes that transcend humanity. Angels are more “fully anthropomorphized divine beings than cherubs, who are only partially anthropomorphized. But it would be a careless mistake to identify either as a human being. Lastly (by way of prefacing our discussion of a cosmic rebellion backdrop to Ezekiel 28), this issue — whether the conceptual backdrop is a human or divine rebel — is also related to text-critical issues in Ezekiel 28. That was the third of the four trajectories for this topic noted above. We’ll hit those issues after discussing Page’s work here. Let’s track through Page’s work a bit more. As we go, I’ll point out how scholars who hold the alternative view would parse what he’s saying and why it’s inconsistent. The background against which this more concrete reference to the Tyrian prince is to be understood must revolve around El and a challenge to his authority, home, and prestige by a divine usurper. The reader is left with the job of identifying the god capable of and inclined toward mounting such opposition against him. The poet’s original audience no doubt found this task to be less problematic than modern interpreters. We believe that an important clue is contained in the powers which are ascribed to the god in vss. 3-5. Page picks up the comment about the usurper’s wisdom as his clue. As a result, he sees a different myth of divine rebellion behind Ezek 28 than Isaiah 14. 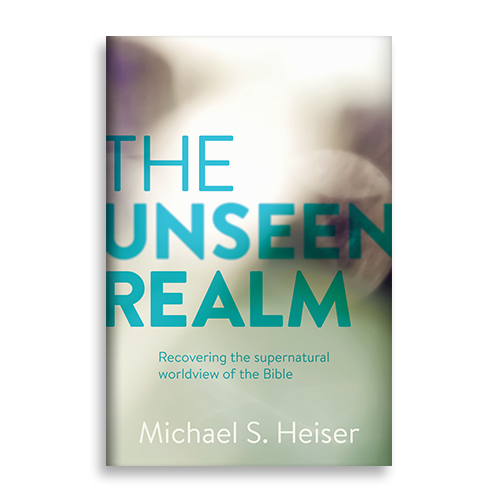 He writes (p. 182), “In Isaiah 14 the usurper is called hyll bn šḥr, suggesting the usurper was an astral god. By contrast, here emphasis is placed in the usurper’s wisdom which has led to corruption.” But note — he takes the backdrop of both to be a cosmic rebel. Our major problem comes in attempting to identify who is divine who this divine usurper is. The hubris of the usurper is similar to that found in Isaiah 14. The boast made by the usurper in Ezek 28:2 (beginning with ʾlʾny [“I am El”] are no unlike the series of claims made in Isaiah 14:13-16 which culminates with ʾdmh lʿlywn [“I will be like the Most High”]. The major departure in Ezekiel is the usurper has been stripped of astral characteristics and has been described as a god whose wisdom has corrupted him. Once again the poet has exercised considerable restraint in editing and has allowed the myth to convey its message directly. Its main characters are Yahweh and one of this throne guardians. We suspect that the original characters were El and a member of his cadre of gods. Apparently, the author trusted his urbane and literate audience enough to allow them to make the connections between the old Canaanite myth and the historical personage in question. The nature of the offense is absent, though we are told that the Cherub’s wisdom was corrupted because of his splendor and that his beauty contributed to his pride, but it is almost certainly one involving actual or potential harm to Yahweh/El. It resulted in his expulsion from the holy mount and his apparent demotion from his status as astral deity. Despite his return to an astral identification for the divine rebel backdrop to Ezekiel 28, Page does not think the referent is Athtar (unlike Isaiah 14). This isn’t unreasonable, as Ezekiel 28 has a more “high-handed” feel to it. However, if I’m correct in my own article on the mythological (Ugaritic) provenance of Isaiah 14’s villain, a snubbing of El’s authority could be construed by adherents of Canaanite religion / readers familiar with the Athtar myth as a high-handed act of hubris. In short, the character of the rebellions at the backdrop of Isaiah 14 and Ezekiel 28 is no obstacle to having the same story in mind. The more substantive disconnect is the wisdom motif. But at any rate, as I noted earlier, my view that the backdrop to these passages is a divine rebel story and that the two chapters have very clearly conceptual overlaps is not at all idiosyncratic. You can’t get more respectable in terms of scholarship than a Harvard dissertation. Item 3: Difficult features of the biblical text in Ezekiel 28 do not undermine reading Ezekiel 28’s diatribe in the context of a divine rebel story. The textual difficulties in Ezekiel 28 are well known to Old Testament scholars. Our discussion here is restricted to Ezek 28:11-19, that section of Ezekiel that contains the cherub / holy mountain of God / Eden language. My goal in what follows is to briefly explain those relevant to the content of Ezekiel 28:11-19 with respect to ideas put forth in The Unseen Realm and show that my positions are in the mainstream of biblical scholarship. In other words, as was the case with seeing a cosmic (divine) rebel story as the conceptual backdrop of the oracle against the prince of Tyre, my views are not at all idiosyncratic. 3. Follow the Septuagint (LXX), which in some instances, can be supported by alternative pointing, but at other times presents the translator with a different text than MT. Readers would do well to understand that the view I am arguing for in Unseen Realm — is supported by the first option. As will become clear in the discussion below, MT as it is pointed has a single figure in the primeval garden scene — a cherub — as opposed to having a man in the garden with a cherub (who is taken as Adam). Consequently, the oracle language describes the rebellion of that lone figure, the cherub, and the cherub is not a man, but is a divine being (as cherubs of course are). This means that opponents of my view must either repoint MT or read the LXX in Ezekiel 28:11-19 to get Adam there. All three of the above approaches are viable and have their adherents. Those familiar with me and some of my scholarly publications (esp. my Bib Sac article, “Deuteronomy 32:8 and the sons of God”) will know that I am not an advocate for MT. I assign it no special sanctity or status. The same goes for LXX. For me, the matter of Ezekiel 28 is not purely a textual issue. One’s position on the text needs to cohere with external factors and other passages. Frankly, the dispute over Ezekiel 28 is for me a prime example of how the best interpretation doesn’t only make sense in isolation (all three approaches could claim that), but informs (and is informed) by a range of other passages and considerations. That’s the only way to reconstruct a mosaic of biblical theology. Interpretative choices must have explanatory power in more than one place. The Hebrew Bible (and the whole Bible) is not a collection of disparate pieces. The work as a whole is intentional and internally consistent, each part playing a role in the whole. So, while I appreciate how all of the three approaches have merit, I’m looking for broad explanatory power in a work of synthesis like The Unseen Realm. Save for Patmore, whose book attempts to take no position (though it’s clear he prefers re-pointing MT), all these essays support the view of the text of Ezekiel 28:11-19 presumed in The Unseen Realm: that there is one figure in the garden, a divine cherub (see below, just before the Concluding Thoughts). Several specifically see Ezek. 28:11-19 having a definite relationship to Genesis 3. We turn now to Patmore to survey the issues, specifically Chapter 6, his discussion of MT. By the time Jerome began his undertaking, a consonantal text identical to the Masoretic Text preserved in Medieval manuscripts had become standard, although there remained a certain fluidity in respect of minor details. The Three, though fragmentary, also point towards a Hebrew text of Ezekiel 28:11–19 that resembled closely the Masoretic Text. At points the exact form of a word underlying the Greek of The Three cannot be established with certainty, but the overall picture is one of agreement with the Masoretic Text against the major differences of the Septuagint. We can probably assume a picture in which a text resembling the Masoretic Text was established and dominant in Palestine in the late pre-Christian era. that the text was already subject to safeguards to ensure the precision of its transmission in this period (pp. 187-188). The above pertains to the consonantal text of MT. Vocalization of the consonantal text began ca. 7th century A.D. The versions (LXX and otherwise noted above) occasionally evidence alternative vocalizations to what we know today as MT. The first item of note is the difficult phrase חוֹתֵם תָּכְנִית in Ezek. 28:12. Patmore (191-193) and Miller (p. 500; see above) note van Dijk’s alternative reading (noted in Unseen Realm) that presumes the final mem to be enclitic and a translation of “perfect serpent.” Neither disparages the idea (Patmore in other places deems certain ideas “impossible” or having “no basis”), though both consider the suggestion unpersuasive. Miller proposes his own solution, moving the final mem to the following word, a consonantal reconstruction. The result is either “(living) being of propriety” or “(living) being of proper measures. The discussion therefore doesn’t advance anything revelatory. The list is not intended to allude to the High Priest, otherwise it would be complete, rather it demonstrates the abundant luxury of the setting. The commonality between the two lists might be accounted for by both sources’ dependence on P,47 but here is not the place to enter into the complex question of the date of P. Whatever the list’s origins, in their current format we are not dealing with an allusion. . . .
Isaiah 54:11–12 indicates the type of image at work. Here the future Jerusalem is pictured, built of jewels and surrounded by precious boundary stones. The image is later picked up and elaborated upon in Tobit 13:16–17 and Revelation 21:19–20, an association that Jerome makes in his Commentary on Ezekiel (In Hiezechielem IX, xxviii, 252–56). The intention is to paint a picture of a glorious location surrounded (reading ‘hedge’ for מסוכה ) with rare, exotic stones, in much the same way that Isiah and Tobit do. That the figure is said to walk in the middle of “fire stones” from which he is expelled (28:14, 16), may also support the view that the precious stones surround rather than adorn him, taking “precious stones” and “fire stones” to be synonymous. In a footnote in The Unseen Realm I also note how the gemstones relate more to the divine dwelling, the abode of the divine council. I also note, however, that the description can do double-duty in that the stones may also describe a luminous being. After all, the inhabitants of the divine abode are routinely described as shining or luminous in the Bible. Patmore next (196) notes how the Masoretic accenting groups the word “gold” with the precious stones. He deems this awkward because gold is not a gem, and because the preceding nine stones form three groups of three. The discussion lacks weight in my view since his ensuing comments about the odd pointing of כּוֹנָנוּ (“they were prepared, established”) admit that this plural form could be the predicator of either the list of stones (plus the gold) or the “drums and pipes” (ESV = “settings and engraving” – with a footnote that the Hebrew is uncertain). Consequently, what he sees as awkwardness is not an obstacle to coherence. His charge that כּוֹנָנוּ is awkward because it is pointed as a polal stem form is something I’d agree with. Like Patmore, a polel would make more sense because the polel stem of this lemma (כּוּן) “often refers to events of grand or cosmic importance” (197). In my mind, the rebellion of a divine being is on that scale, so a polel would make more sense — UNLESS the point is the the establishment (polal) of the divine dwelling. The implication would be that on the very day of Eden’s creation (or pretty close) the rebellion occurred. Patmore of course doesn’t get into that sort of content. My point here in this interaction is that what he thinks awkward need not argue away from a single divine cherub. The stem choice (polal or polel) can make good sense either way. You were a cherub of anointment who covers, and I set you, on the Holy Mountain of God you were, in the midst of fire stones you walked about. You were with a cherub of anointment who covers, and I set you on the Holy Mountain of God. You were in the midst of fire stones. The latter two options (alternative pointing) can obviously be read as though the “you” being addressed is not the cherub. This is clearest in the second of the two alternatives (“you were with a cherub …”). The text of MT (with MT pointing) has been the subject of much discussion. Ezekiel 28:14 begins with the verbless clause אַתְּ־כָּרוּב and is translated “You were a cherub.” The problem is that כָּרוּב (“cherub”) is masculine in gender but the pronoun of MT (אַתְּ) is feminine. The expected form would be the masculine אַתָּה. Patmore notes: “As the Masorah of the major codices points out, this consonantal form, though extremely rare, is found in two other cases in the Hebrew Bible to indicate a male subject” (198). These two instances are Num 11:15 and Deut 5:27. Patmore also notes five instances where a scribal qere (“what should be read”) notation (אַתָּה) corrects the kethiv, what’s found written in the text (אַתְּ). The instance in Ezek. 28:14 receives no “correction” though, as those who read Hebrew know, the consonants can be read as the preposition “with” (which is reflected in the second alternative translation — and is what the LXX translators did with the form: μετὰ τοῦ χερουβ). If [the text] means, ‘You are the [or, a] cherub . . . this gives a distinct identity to the person addressed. It means that the whole oracle is addressed to one who did the service that cherubim were supposed to undertake, whatever that might be. If, however, it means something else, it might suggest that the main person addressed in the whole oracle is not the cherub, but someone else, a person who is only juxtaposed or associated with the cherub. Such a person in the Garden of Eden is likely to have been the first man, known in Genesis as Adam. . . .
A very large number of commentators have followed the Greek text. R.R. Wilson lists many of them in an interesting article, mentioning the numerous difficulties that are thought to arise if the text is not emended after the Greek version. . . .
Whatever the obscurities and possible errors of the MT at other points in Ezekiel 28, at this particular point it is much easier to suppose that the LXX failed to recognize את as the pronoun than to suppose that it really was the preposition or particle, later wrongly vocalized by the Masoretic tradition as the extremely rare form meaning ‘thou’. To put it in the other way, if the Masoretic tradition had seen the form את and there was some doubt what it was, it is understandable that they would have thought of diagnosing it as ‘with’ or as the direct object particle, but it is frankly unbelievable that they would have identified it as the very rare form of ‘thou’. The Masoretic vocalization is credible only if it rested on a phonic tradition of the word as att. Thus there may be good reasons, in terms of the general content of the passage, for emending the passage as many scholars have done, but it is doubtful whether there is a good textual reason for it. While being charitable to the content motivations of those who emend the text, Barr then goes on to defend a lone cherub view. What Barr refers to here as a “phonic tradition” refers to the fact that the expected written אַתָּה could have been spelled without the final ה matre vowel while retaining the verbal pronunciation ʾatta. In other words, Barr’s suggestion is that native speakers would have looked at consonantal את and known that ʾatta (the pronunciation) was meant, and therefore left the form stand. Patmore concedes that this is a “credible” explanation (198). Block agrees in his Ezekiel commentary (p. 100; vol. 2, Ezekiel 25-48), though Block rejects the idea of a cosmic rebel being the backdrop (Block in general is skittish of mythological allusions in Ezekiel 28; for a good survey of that material, see John L. McKenzie, “Mythological Allusions in Ezekiel 28:12-18,” Journal of Biblical Literature 75:4 [Dec. 1956]: 322-327). Van Dijk (p. 119) and Tiemeyer (119) agree as well. Miller makes no comment on the suggestion. The important takeaway for our purposes, then, is that there is no textually necessary reason to reject MT with its pointing. Blau observes: “The original forms of אַתָּה and אַתְּ were *ʾantā and *ʾantī (with anceps final vowels). The n is still preserved in the Southwest Semitic languages. In all likelihood, the ʾan is the same pronominal element that occurs in the first person.” (Joshua Blau, Phonology and Morphology of Biblical Hebrew: An Introduction, 162). Joüon-Muraoka includes Ezek 28:14 in the list of occurrences where (retaining MT) אַתְּ should be considered masculine: “However, the short form אַתְּ [ʾatt] or [ʾat] (see § 8 d, n. and § 27 db) is attested three times as masculine: Nu 11.15; Dt 5.27; Ez 28.14.” (Paul Joüon and Takamitsu Muraoka, A Grammar of Biblical Hebrew, vol. 1, p. 120 (Par. 39a), footnote 5). Gesenius concurs and writes: The forms of the 2nd person אַתָּה, אַתְּ, אַתֶּם, אַתֵּ֫נָה, &c., are contracted from ’antā, &c. The kindred languages have retained the n before the ת, e.g. Arab. ’ánā, fem. ’ánti, thou; pl. ’ántum, fem. ’antúnna, ye. In Syriac אַנת, fem. אַנתי are written, but both are pronounced ’at. In Western Aramaic אַנְתְּ is usual for both genders. אַתָּ (without ה) occurs five times, e.g. Ps 6:4, always as Kethîbh, with אַתָּה as Qerê. In three places אַתְּ appears as a masculine, Nu 11:15, Dt 5:24, Ez 28:14. (Friedrich Wilhelm Gesenius, Gesenius’ Hebrew Grammar [ed. E. Kautzsch and Sir Arthur Ernest Cowley; 2d English ed. ; Oxford: Clarendon Press, 1910], 106). English translations typically render this as “I placed / set you; you were on the holy mountain of God.” The accenting of MT has “holy mountain” and “God” belonging together in one phrase. Patmore (p. 200) complains that this leaves too many verbs to be accounted for — the two in the above (“I placed/set” and “you were”) and the following “you walked about” not pictured. He also says that since the lemma ntn is usually followed by preposition other than the one here (בְּ) to indicate a direct object, the MT pointing is awkward. Patmore never explains why the preposition that is there can’t work. The reason is likely that it can. He argues against “holy mountain of God” as a construct chain since it’s only found once elsewhere (Dan. 9:20). While other phrases are more common (e.g., “mountain of holiness” as distinct from “mountain of God”), why we need more than one occurrence of this chain to make it “permissible” is also never explained. Patmore argues instead for coupling elohim in the phrase with the verb הָיִיתָ (“you were a god”) and then unnecessarily opines that the MT accentuation was put in place to avoid identifying the figure as a god since he’d already been identified as a cherub. Readers of Unseen Realm will see the logic flaw here. All non-human beings of the spiritual world are elohim — elohim is a term that identifies inhabitants of the spiritual world. The point is that if the Masoretes understood that elohim was used of spirit beings other than the God of Israel, avoiding the above notion wouldn’t have been their motivation. Regardless, this is another instance where adjusting the MT pointing certainly doesn’t harm the lone cherub view. “You were a god” could easily help it. By the abundance of your merchandise they filled your midst of violence and you sinned. So I cast you as a profanity from the mountain of God and I expelled you, O cherub who covers, from the midst of stones of fire. By the abundance of your merchandise internally you were full of violence and you sinned. So I cast you as a profanity from the mountain of God and a cherub who covers expelled you from the midst of stones of fire. The second option obviously has two figures in view. The cherub wasn’t expelled, but expels someone else. The verb form would be read as third person. LXX follows the latter (ἤγαγέν σε τὸ χερουβ ἐκ μέσου λίθων πυρίνων; “the cherub led you out of the midst of the stones of fire”). The former option (“I expelled you”) reads the verb as first person. The Vulgate reads with MT. At issue is the verb form. The consonantal text of the verb form is: אבדך. The form itself can be pointed as either third (אִבֶּדְךָ) or first person (אַבֶּדְךָ). If the pronoun form of MT (with its pointing) is followed per the discussion above, then MT with pointing must be followed here. The same logic applies to the LXX decision to see a preposition in v. 13; only a third person form here would make sense given that choice. There are several following verbs that are first person in vv. 17, 18. They would obviously be in concert with a first person form for the above ambiguous consonants. However, someone reading a third person form in v. 16 could accommodate the first person forms here by presuming God is the speaker who happened to reference the (separate) cherub in v. 16. In other words, the forms of vv. 17-18 aren’t an obstacle to either view. 1. The positions I take in The Unseen Realm regarding Isaiah 14 and Ezekiel 28 (and their relationship to Genesis 3) are not idiosyncratic. They are based on solid scholarship that shows that a cosmic rebel story as the conceptual backdrop to these chapters. My position follows the Masoretic text tradition in Ezekiel 28. 2. Those who want to see a human rebel (i.e., Adam) behind Ezekiel 28 must ignore or explain away the cosmic rebellion motifs discussed here and abandon (at least in key places) the Masoretic pointing. To reduce all this to a sentence, if you can admit that the evidence for a cosmic (divine) rebel backdrop to Ezekiel 28 is persuasive and embrace that, you don’t need to run to the Septuagint to “make sense” of the passage. Frankly, lots of things fall into place.